Another awesome mod. Great scripting and dialogue writing, details are magnificent and the story was also good. I'll definitely endorse it. I really enjoyed this mod! 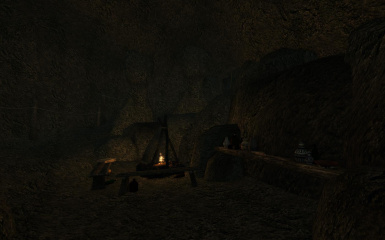 The dungeon is beautifully detailed, and funnily enough, as I was going through it, I wondered what you would do with a house mod.. The next day, you released one *grin*. I'm really looking forward to starting that quest as well. Anyway, back to "Of Justice and Innocence," I truly appreciated that I had to think about how I was going to resolve the final part, and that everything was far more complicated than first appeared. In the end, I chose "Plan A" for various reasons, but I wasn't exactly comfortable with the decision, though a certain final conversation did help somewhat. Honestly, playing through this quest felt a little bit like something you'd encounter in a Witcher game.. and that is awesome. I don't use MGSO or Rebirth and have my own setup with Vurts. Am I grabbing a 1.31 version of this mod either way, or am I suppose to use the "WF" version in the option files? If you have Bloodmoon or Tribunal or both, you don't need the WF version. 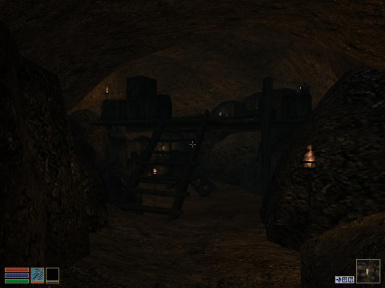 Basically, Morrowind players who are running an older, outdated, version of Morrowind run into an issue with the water levels in interior cells getting reset to 0 (essentially flooding the caverns), so I made the WF version for those few players who are effected by that issue (since this pretty much only occurs to people who don't have the expansions). So aye, just grab the 1.31 version and you should be fine! The way you built this dungeon is magnificent. So detailed, and well-built. 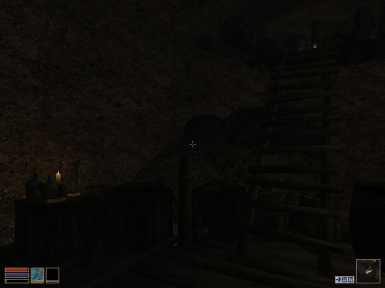 I especially loved the ways you built shelves and upper levels in the cave. The quest was great, and the loot as well. 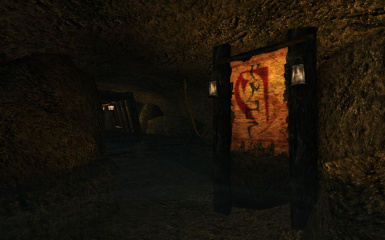 I'm also running a mod that adds Morrowind Trading cards, and lots of the crates contained some of these trading cards to add to my collection, so I was happy about that aswell. Endorsed! Thanks for the endorsement, Mat! Really glad you liked it! may i ask friend? eh how long did it take you to make this mod? its good and detailed. 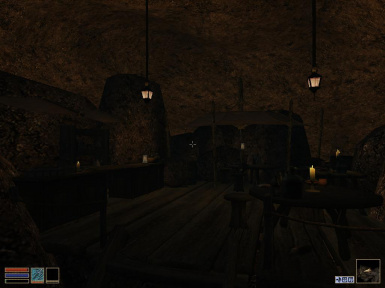 It took about a hundred development hours to make over the course of six weeks, a lot of that was just due to the amount of detail with nearly 3500 hand-placed objects and about ten-thousand written words of dialogue. 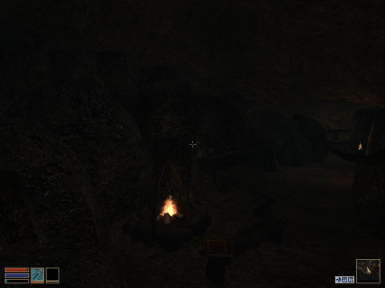 Hi thanks for the mods but are your other mods compatible with Morrowind Rebirth? 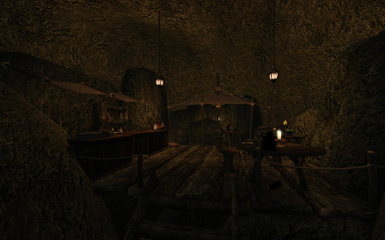 Redaynia Village and The Haunted Tavern of the West Gash are both compatible with Morrowind Rebirth, at least the last time I checked they were. 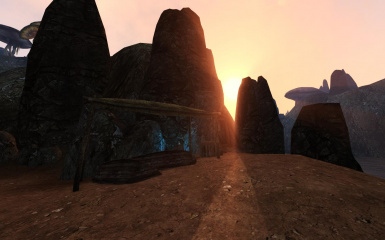 A Hermit's Request currently conflicts with Morrowind Rebirth, the problem there is that Rebirth edits the terrain where Thexn's shack is, so its just sort of floating off to sea right now. I'm working on a new version of A Hermit's Request to add compatibility, but that won't be out for a couple of weeks probably (since I'm also fixing a few other minor bugs and grammatical mistakes). Thoroughly enjoyed this mod! 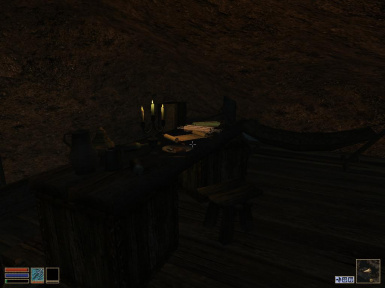 The quest is brief yet captivating, well-written, immersive, and probably one of the most lore-friendly mods I've ever played! The multiple outcomes and ambiguous morality of the NPC's involved adds a welcome touch of realism to the game world. 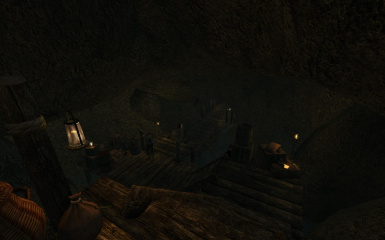 The quest fits in perfectly with vanilla MW, the dungeon is well designed and beautifully detailed, and the rewards are nice yet balanced. Kudos and thanks Darkelfguy for this fun quest mod, and for everything you do for the MW modding community as a whole, it is greatly appreciated. Endorsed! Thanks for the kind words, and I'm glad you liked the mod! I really enjoyed playing through this quest. 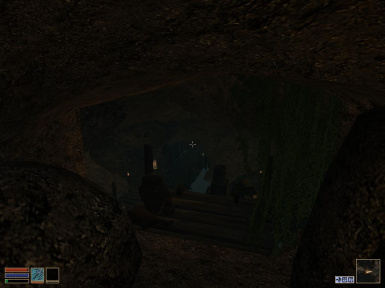 It fit within the environment of Dagon Fel perfectly, and I liked how the story could be pieced together through notes, the environment, and interaction with the NPCs. 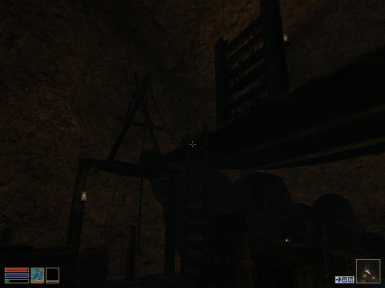 Tons of loot, too, including some useful items, but nothing overpowered. Very nice mod. Thanks for the review and kind comments! Magnificent work here! Love this interiors and the fact that there is a choice to be made. Great mod.